Jesus revealed God’s truths by teaching in ways people could understand. Perhaps you have gifts for ministry similar to those of Jesus! Do you love seeing individuals learn and grow? Using your gifts in education can range from formal education to “needs based” community classes to health programs or religious education, and more. Catholic Sisters have a long history in education. Is education your passion and a way to serve God and others? In today’s world young people drop out of school for many reasons – unfortunately it limits their job opportunities too. It’s also not unusual to find adults needing to learn new job skills because of unemployment. Can you see yourself using your gifts as a sister to teach young and not so young adults to learn and get a GED or learn new skills, or ? A sister can serve as a gifted role model and mentor to people desperate to make a living for themselves and their families. Have you considered using your gifts as an educator in this way? You would be giving the gift of dignity to people in need. 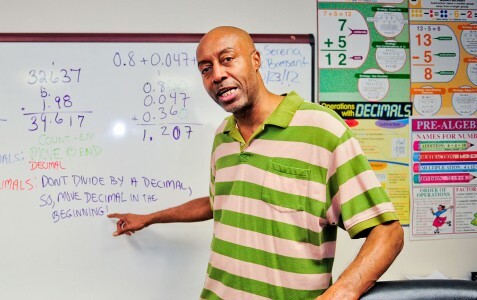 Bon Secours of Maryland Career Development Program is an example of a program offering GED instruction for youth and adults while also providing guidance and direction in job readiness, job placement and job retention. Teaching and facilitating development and learning comes in many sizes! God can use your gifts to teach and to facilitate the learning of diverse populations in the community as well. Whether it’s teaching topics related to healthcare or leading a class in Zumba! What matters is putting your gifts at the service of people and creation wherever learning is needed. Can you envision yourself in a ministry as a sister teaching and facilitating development, growth and learning among people in the community? Whether it’s a university or a college, or a specialized institution of higher learning, sisters are found lecturing and guiding students preparing to engage the world! Professors and instructors have a passion to see their students excel and to exceed them in their own knowledge. Does the possibility of serving God and people stir a desire to be God’s heart and mind in our world today? Or, perhaps your gifts and passion are to educate students in specific career oriented colleges, such as nursing, and preparing students in the healing ministry of nursing! Specialized colleges, such as Bon Secours Memorial College of Nursing, educates and prepares nurses for the needs of our future in healthcare and to carry on Jesus’ healing ministry. Sisters can serve in all sorts of support positions in higher education as well such as in the Admissions Office! Your gifts and talents as a sister and a professor or support role can serve as a witness to Jesus’ footprint here on earth. 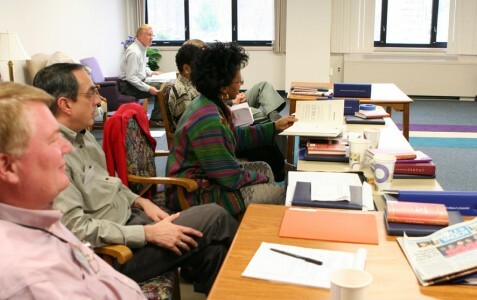 Educating adults in Catholic sponsored ministries allows people to carry out the work of the Church. The Church needs qualified people prepared to continue the ministry of Jesus in today’s world. 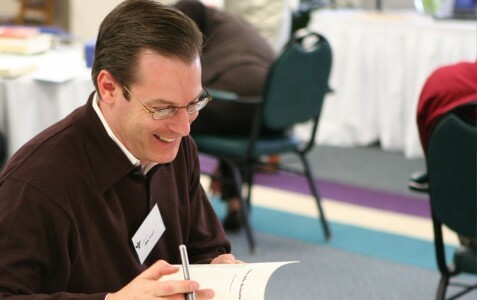 Your gifts are needed to share knowledge and to facilitate both the basic and advanced development of compassionate, justice oriented, and integral servant leadership skills of dedicated adults and the theological competence to grow capable ministry leadership. Educators and facilitators provide these opportunities such as at the Bon Secours Institute and Center for Ministry Leadership. Becoming a sister and educator to facilitate others becoming co-creators in God’s vineyard would be a wonderful gift of service. What excites you about this possibility? What gifts do you have or need to develop to fulfill a desire as this type of educator / facilitator? There are opportunities also to participate and enrich your ministry, grow your leadership skills and enhance your personal gifts as a Catholic Sister. Do you have a love for teaching children? Have you thought of becoming a sister and teaching young people during their critical formative years? What gifts do you think are needed to teach students in elementary school? Jesus said let the little children come to him. As a sister and teacher following in the footsteps of Jesus, how would you witness to his desire for you inspire a child to learn, to help with the process of discovering the wonders of knowledge and to bring the world alive in the classroom setting? 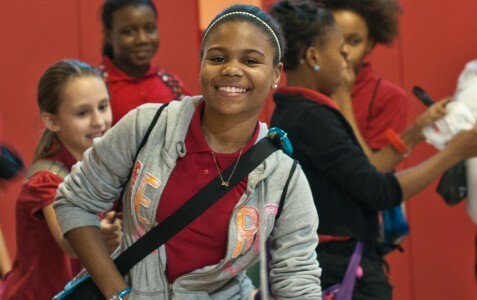 Maybe you see yourself making a difference by teaching and guiding young girls in 5th, 6th and 7th grade from economically challenged urban families to give them the confidence they need to go on to complete their high school education in four year, such as at Sisters Academy in Baltimore. Can you imagine yourself a sister and teacher – who is about fostering the mind of a child? What a gift of service! Did you know that there are, for instance, six month career ladder development programs for those just starting on their journey of service? Programs such as these offer, for example, health care specific education in community colleges and technical schools while developing individual gifts and personal goals. 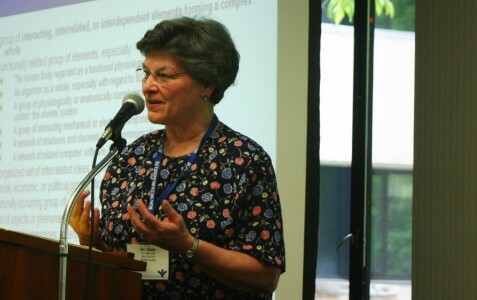 A religious sister can use her gifts as an instructor to help her brothers and sisters in ministry to develop and grow and to carry out the mission of Jesus in ministry. Programs like these, such as at Bon Secours Virginia Health System with thousands of employees, would love for a sister to serve in this capacity! Have you thought of using your gifts this way? Imagine facilitating a class to help co-workers on the ground to carry out a Catholic sponsored mission and ministry! And imagine these individuals becoming the everyday spokes persons of this mission. Or, imagine co-workers who daily “huddle” to improve how they carry out the mission through compassionate service that is both engaging and efficient –it happens daily in Catholic-sponsored ministries, such as at Bon Secours healthcare facilities. God is in need of women religious sisters to help others to become his champions in serving others steeped in Gospel values. Is God touching into your heart and asking you to consider being his voice to others as a sister educator or facilitator of your co-workers? Education Programs are also in place within the Bon Secours Health Systems that support the advancement of their employees.